Since 1917, Fatima has been one of the most important Marian shrines in the world. Beginning May 13 of that year, a luminous figure of a woman all in white, "brighter than the sun" appeared to three young shepherd children, Lucia Santos and her cousins Jacinta and Francisco Marto, as they were tending their sheep in the Cova da Iria. When Lucia asked her who she was, she said "I am from Heaven." The Lady wore a white mantle edged with gold and held a rosary in her hand and she urged the children to do penance, say the Rosary every day and devote themselves to the Holy Trinity in order to bring peace and an end to the world war that was raging at that time. She urged the children to return on the 13th day of the following month; the children experienced a total of six visits from the apparition, from May to October 13. During her appearances she revealed that the children would suffer and that Francisco and Jacinta would go to heaven soon while Lucia would live many years to spread her message. When she made her last appearance on October 13 more than 70,000 people had gathered. As the astonished crowd watched, the sun became different colors and moved toward earth in a zigzag motion that became known as the dance of the sun. This Miracle of the Sun was seen over an area of 600 square miles. 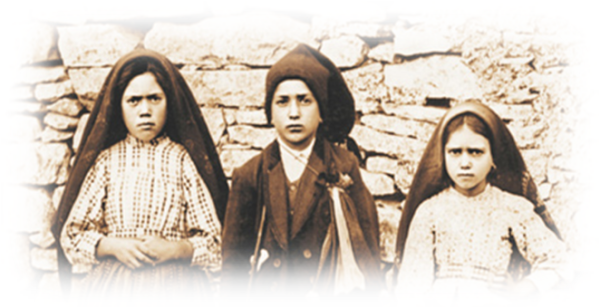 [newspaper about the events at Fatima] Within three years of the Apparitions, Francisco and Jacinta died during a flu epidemic while Lucia became a Carmelite nun. Pope John Paul II beatified two of the children, Jacinta and Francisco, on May 13, 2000. Sr. Lucia was present for the ceremony. She lived to age 97 and died in 2005. 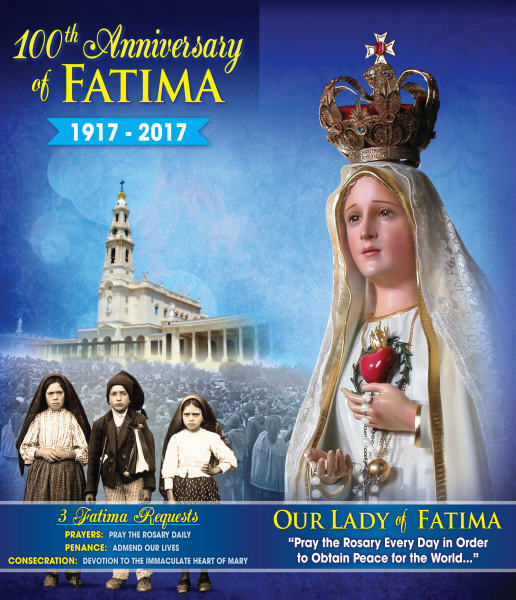 For the 100th anniversary of the apparitions of Our Lady of Fatima in Portugal, Pope Francis has decided to grant a plenary indulgence opportunity throughout the entire anniversary year, which began Nov. 27, 2016, & will end Nov. 26, 2017. The rector of the Fatima Shrine in Portugal, André Pereira, explained to CNA that the plenary indulgence can be obtained during the entire Jubilee Year. There are three ways of obtaining the indulgence, detailed in a statement on the shrine's website. In addition: indulgence must also pray an Our Father, recite the Creed and invoke Our Lady of Fatima. 3) pray for the intentions of the Holy Father.